What? First it’s Easter – and now the Spring Season 2018 has started? What happened to the Winter Season?! 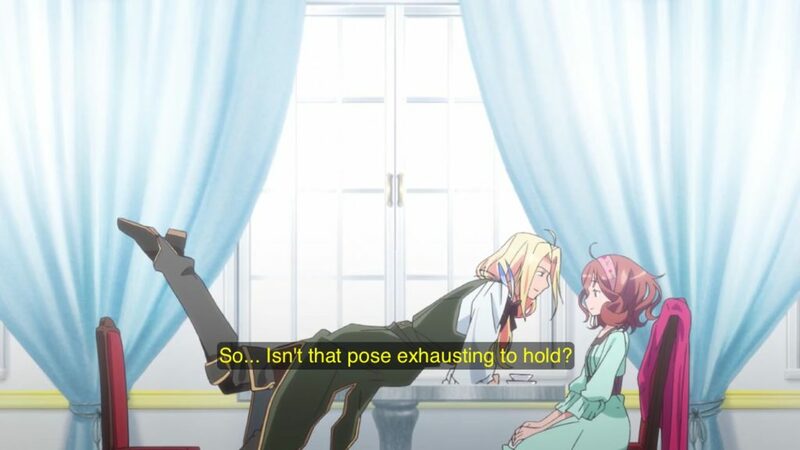 If you feel that way, then we can sympathize at Anime UK News. It’s been a feast in terms of the sheer number of new series streaming via Crunchyroll, HIDIVE, Amazon Prime and… Netflix. Ah, Netflix. More on that later in our Spring Season 2018 Preview. But has it been quantity at the expense of quality? Which series turned out to be worth watching? (I confess to dropping several after the first 2-3 episodes). When writing my piece for the Winter Preview guide there was one show I neglected to mention in favour of highlighting other series that could be missed, but nevertheless it was a show I was extraordinarily excited about. That show was Violet Evergarden, a new anime from Kyoto Animation. Not only was it a new show from one of my favourite studios, but reactions from fans and press alike to advance screenings of the first episode or two told me that this was something to be excited about (and that’s without mentioning it that it was the first and so far only light novel entry to ever win Kyoto Animation’s yearly award back in 2014). Initially when we found out Netflix would be streaming the show I feared the worst – we’d have to wait until Japanese broadcast was over or perhaps even longer. However, in a surprising turn of events, Netflix decided to simulcast the series alongside its Japanese airings and so I got to experience a weekly dose of heartache. If I were to review Violet Evergarden for the site I would be undoubtedly giving it a 10 out of 10. This is a show that had me anticipating every episode and won a firm place in my heart by the end of its run. The animation was Kyoto Animation at their very best with bright, striking and downright beautiful scenes alongside fantastic work from the Japanese voice actors and composer Evan Call. This is a tale about loss, about life, and most importantly – about living. It has been a while since I’ve come across a show that spoke to me so profoundly and I already want to watch it again and again. Some people may feel it’s over-dramatic, that it reuses similar stories, but as one whole picture, I can’t help but see it as flawless. My second pick for Winter has to be A Place Further than the Universe. It was a series that I really wasn’t sure I’d be able to watch and stick with, but despite everything it ended up rivalling Violet Evergarden for my affection. The show has a great and realistic cast of characters, with an interesting story and theme behind it. Where Violet Evergarden is about love and living, A Place Further than the Universe is about growing up, adventuring, and realising who you really are. It’s a very different series in tone to Violet Evergarden, but it still packs just as much emotional punch. It’s always exciting when slice of life series like this can last 13 episodes and not have any point that feels like a dip in the story. 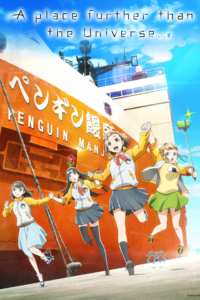 Every week A Place Further than the Universe surprised, excited and left me feeling satisfied with what I’d just watched. That’s not an easy thing to accomplish and really speaks to the quality of the show. I feel like this show was easily overlooked at the beginning of the season and a lot of people have missed out on it because it sounded fairly generic, so I’m hoping that me highlighting it here will encourage readers to go back and check it out! As this is a Winter Wrap Up article, and we’re only half way through Cardcaptor Sakura: Clear Card, it may seem weird to be talking about it now, but as it’ll be weirder to mention it in the Spring Wrap Up (when it’s due to finish) it makes sense to at least add ‘thoughts so far’ here. So, 12 episodes in and I’m still absolutely loving Clear Card Arc. Yes, it’s far from perfect; the pacing is very slow, the cards themselves are clearly mirrors of the original cards, and we’re getting little development in any of the established relationships so far. 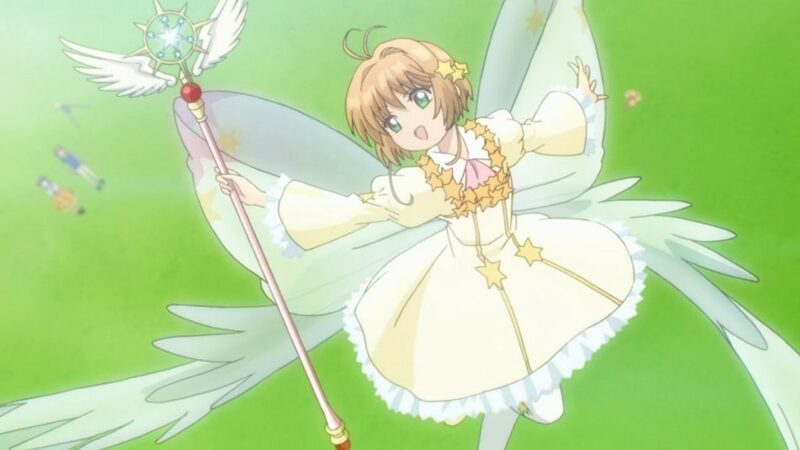 However, I would argue that, compared to the original series, Clear Card is far swifter in pace, and considering the lead is a middle school girl who is known for being very positive and slow on the upkeep, it makes sense for her not to be actively seeking a bigger threat every waking moment. Also, while we could always use more fluff, what we have gotten from the main couple has been completely adorable; Episode 9 was one of the sweetest so far with Sakura and Syaoran’s first date, and I still see their adorable exchange under the tree in Episode 7 retweeted on my feed as a fan favourite. My favourite thing so far however is how carefully the series has been balancing between the manga and anime series; the team went out of their way to animate the final manga chapter so that the audience is brought up to speed, so I was expecting them to be 100% manga faithful from this point on, however they’re also incorporating the canon of the anime. From the small details (characters remembering the Sleeping Beauty play differently) to the big (Mei-ling making cameo appearances) and even ones you didn’t expect (stills from the second movie as pictures in Sakura’s photo album). It’s clear (haha) that there’s a lot of love and attention woven into this series. I, for one, cannot wait to see how it all pans out! The only other series I’ve managed to catch up with so far is Violet Evergarden. This series blew UK fans away for its stunning animation and being a UK/Europe exclusive until it’s final episode. Now that it’s available for the majority of Netflix users, is it worth the time invested? I’d say that, overall, yes it was. The series obviously had two main objectives: to show the importance and impact that a hand-written letter can have, and to explore raw emotions such as war trauma, love and the loss of love. The series definitely managed to accomplish both and it was evidently stronger in the self-contained episodes that had little-to-no plot relevance, such as public love letters in Episode 5, finishing a play on behalf of a writer suffering from loss in Episode 7, or the tearful goodbye letters from beyond the grave in Episode 10. All of these episodes are so well paced, animated, written, and emotionally engaging that I’d highly recommend others to watch them even if they just cherry pick those episodes. I’m not saying that the story-led episodes aren’t worth your time, however they aren’t as strong either due to the nature of Violet’s backstory being very convoluted and contrived at times, or just the slow pace of finally getting to the main plot point. There were a few heart-breaking stand-out moments throughout it though, so the time spent with this particular doll was certainly not wasted. Sadly I was unable to catch up with After the Rain in time for the article, however I’d heard through the net that it had a very strong finale, so I hope to catch up with it soon! 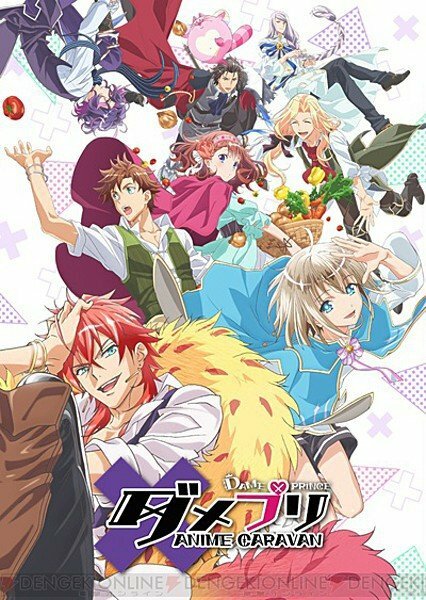 I didn’t mention this title at the start of the season as I hadn’t yet seen the first episode, but my pick of the Winter anime season is Dame x Prince: Anime Caravan (DamePri for short). 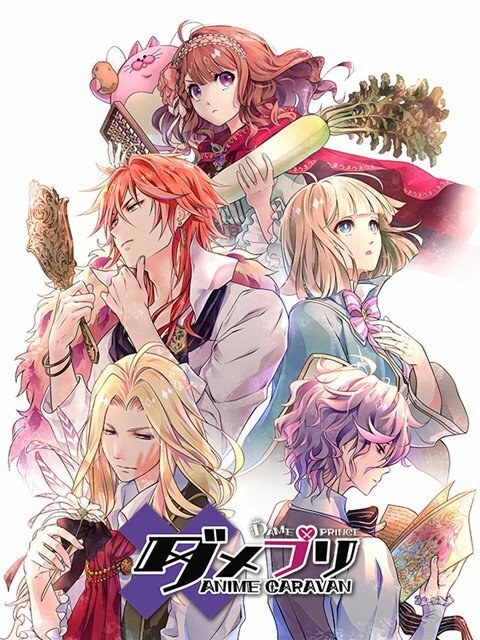 It’s only available on HIDIVE, which is unfortunate since we’re still waiting for the service to catch up with a full spread of apps for viewing, and the series is based on a Japanese-only mobile game aimed at women, which probably limits its appeal significantly. However, I’m very glad that I gave it a try. The star of DamePri is Ani, a sweet-natured princess from a rural region without much political clout. She’s sent off to meet the representatives from her country’s powerful neighbours in order to establish a three-way peace treaty. Along the way she meets four ‘princes’ and their allies from the other nations, setting everything up nicely for a typical romance harem scenario. The twist is that all four of the princes – and most of the side characters – have major personality problems, ranging from narcissism to air-headedness. Instead of running around after them like a helpless damsel, Ani is usually the one driving the plot herself; she’s always the first to question the qualifications of her new allies whenever they do something foolish and the main reason the background political storyline doesn’t grind to a halt every time one of the princes gets into trouble. The princes themselves are charmingly silly and very easy on the eyes; while they deliberately conform to recognisable archetypes, they each have their own unique appeal. The series itself has a colourful traditional fantasy aesthetic which should delight anyone looking for the light comedy it delivers. 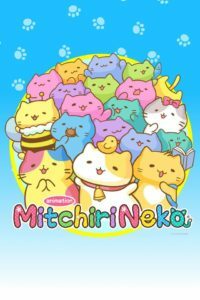 There are three different ending themes sung in character by groups of the male leads which add to the fun, especially for fans of the solid Japanese voice cast. It’s been overlooked by a lot of fans and there’s probably not a huge audience for this kind of show in the west to begin with, but DamePri is energetic, laugh-out-loud funny and a clever send-up of the genre which doesn’t patronise or alienate its original audience. I couldn’t ask for anything more. Netflix and Science SARU’s Devilman CRYBABY had a considerable head start when I gushed over the series back in January’s Winter Streaming Preview, with all episodes launching at once, as opposed to the usual weekly format for TV anime. Despite the best efforts of other anime over the past two months, the series still remains my overall pick for Anime of the Season. However, that doesn’t mean there aren’t any other shows worth highlighting. Netflix deserves praise for releasing Violet Evergarden weekly as opposed to stockpiling episodes for a box set release (at least, outside North America). As Darkstorm and Demelza already noted, Violet Evergarden is something special – a love letter to human connections that decorates its delicate canvas with joy, sorrow and everything in-between. With a slower pace and largely episodic stories, the series benefited greatly from being appreciated weekly rather than binged, where we could better appreciate the gradual emotional development of Violet, which culminated in the absolute masterpiece of Episode 10. That was where I feel the series peaked, however. Episode 9 felt like it would have made the perfect finale, which makes the direction the final 3 episodes (11-13) went down all the more disappointing. While important for Violet’s character arc, I found them too tonally distanced from what came before. What surprised me most last season though, was a series I only picked up towards the end: Karakai Jozu no Takagi-san (Teasing Master Takagi-san). A slice-of-life romantic comedy, the series’ premise is extraordinarily simple: the daily interactions between young student Nishitaka and the desk neighbour who regularly teases him into embarrassment, the sly and charming Takagi. There’s no overarching story or drama, just the cute daily interactions between two children; pure, undiluted cuteness that’s the perfect thing to wind down to at the end of a long day. Shin-Ei Animation’s work excels in the smaller details, such as the expressions on Takagi’s face that we’re slowly taught to read, just in time for when we need to and a cuteness arrow strikes us straight in the heart. 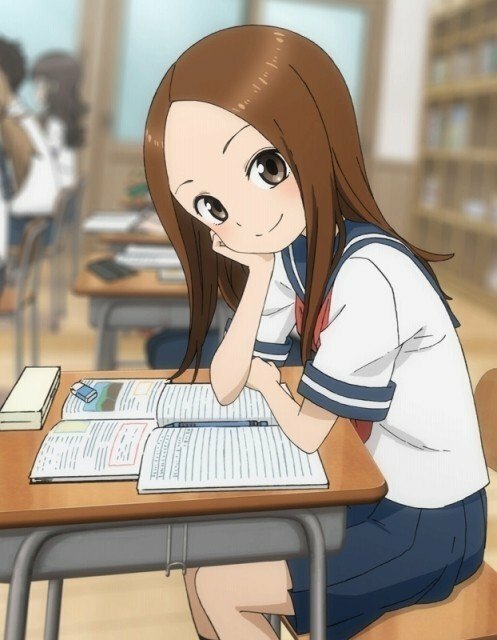 Rie Takahashi (Re:Zero‘s Emilia) shines as the playful Takagi, channelling the perfect mix of mischievousness and cuteness that fits the character so perfectly. Karakai Jozu no Takagi-san is simple, it’s sweet and it left me with a happy grin on my face many times in its brief run – so I’d definitely recommend it. This season also saw the end of a notable two-cour show and the beginning of another. With a phenomenal start in the autumn season, The Ancient Magus’ Bride unfortunately struggled to reach the heights of its first half, particularly as it quickly caught up with the published manga material. This left us with a painfully dissatisfying ending that squandered a fascinating villain’s potential and just felt like the anime was forced to throw an ending together at the last minute. Don’t get me wrong – it’s still a good, enjoyable series, but it deserved to be more. In our Winter Preview, I briefly expressed cautious optimism about Trigger and A-1 Pictures mecha co-production DARLING in the FRANXX, which quickly became the reason why I looked forward to Saturdays (after lie-ins, of course). With its first cour focusing on establishing the characters and their relationships with each other, individual episodes can be hit or miss, but there’s an underlying current that keeps my attention, with the occasional line slipped into episodes adding another piece to the growing puzzle of the show’s world. Our first breakthrough towards completing the puzzle known as “Zero Two”, last week’s Episode 13, was a breathtaking masterclass in episode direction. The narrative expertly weaved the viewpoints of its two protagonists and was wonderfully supported by art and music direction in a whole other league compared to what we’ve seen in the series so far. For every question answered however, two more were asked, making me all the more excited for the second half to come – which, knowing Trigger, is sure to be a wild wide! uTwo young men and a small car. Anyone remember Get Backers? (The odd partnership of Ginji and Ban, dedicated to getting stuff back for people, and their idiosyncratic group of friends/enemies? And their little car.) I detect a distinct affectionate nod in the direction of that 2002 series (which I still love!) Okay, this series is all about hitmen. The kill-rate is shockingly high. Private detective Banba (obsessed with baseball) and the cross-dressing hitman Lin Xianming become crime-solving partners in the Hakata ward of the city of Fukuoka (which I’m sure is really a peace-loving place). And Banba drives around in a little car. Attractive character designs, colourful characters, evocative night cityscapes, a consistently high standard of animation, especially in the fights – and stylish vintage graphics for the OP and ED, Hakata Tonkotsu Ramens looks really good. It sounds good too; the moody, jazzy score is used – and not over-used – to telling effect. Above all, the people are intriguing, the voice cast is great and the episodes are tightly plotted. Apart from the fact that it’s incredibly violent (which might put some viewers off) I rate this as one of my highlights of the Winter Season. (A plea to Seven Seas or Yen Press: could we now have the light novels, please?) I still don’t understand why no one at ANN picked this series up to review. Seventeen-year-old Akira, a promising athlete/sprinter, is recovering from an injury that has changed her life. Unable to face her friends on the track, she signs up for an after-school part-time job as a waitress at a family restaurant, managed by Masami Kondo, an abstracted but kindly forty-something divorcee with a young son. Akira, lost and aimless, develops a big crush on Kondo. Kondo is flattered but confused. Will they, won’t they…? Somehow, those questions become irrelevant as the story progresses as it’s working with great subtlety and sensitivity to portray two individuals who have strayed from their path in life and lost sight of their their dreams. For, as Akira discovers, Kondo had aspirations of his own too and a path that he hasn’t followed. And it may be that this encounter will change both their lives…in ways that neither could have imagined. Exquisitely told and illustrated, this anime benefits from a distinctive art style that even seems to improve on the art of the original manga on which it’s based – and benefits from a sympathetic and subtle soundtrack by Ryo Yoshimata. 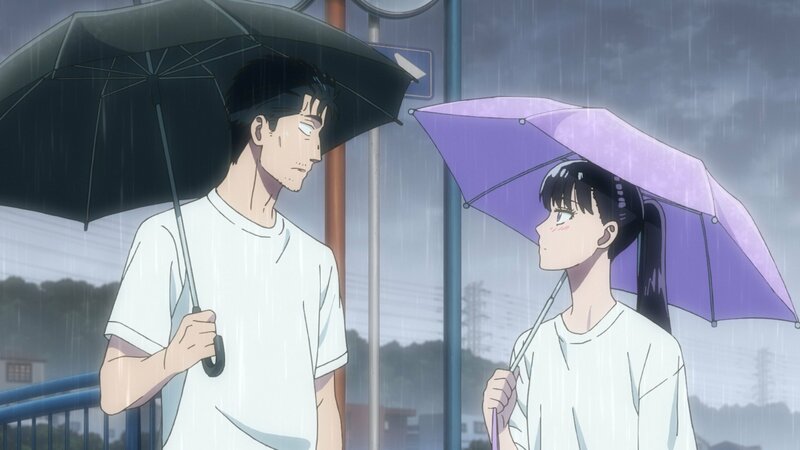 The weather – and the rain – play a significant role and the imagery set against the charming OP and ED make the most of the symbolism. But it’s not all serious; there’s a delightful strand of observational comedy running throughout and all the characters are all believable and well-drawn. The (mostly) US reactions to what was initially touted as a ‘forbidden romance’ (oh, the horror!!) have proved to be way off the mark. This series is written from a very different perspective and deals with frustrated ambitions and dreams, as well as what it feels like to develop a first crush – rather than showing a louche older man (old enough to be her father!?) seducing an impressionable high-schooler. It offers hope rather than resolution but doesn’t feel unresolved.